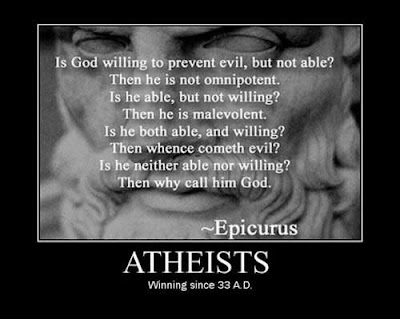 I’ve just come across this site of motivational posters for Atheists. Go there, enjoy yourself. This entry is filed under "Erosophia.Blogspot", Atheism . You can follow any responses to this entry through RSS 2.0 . You can leave a response, or trackback from your own site.